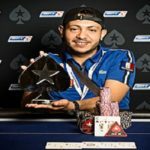 Sebastian Malec, a young pro poker player from Poland created history on Sunday by winning most prestigious Main event title of EPT#13 in Barcelona and that’s why we call poker, a game of chance. 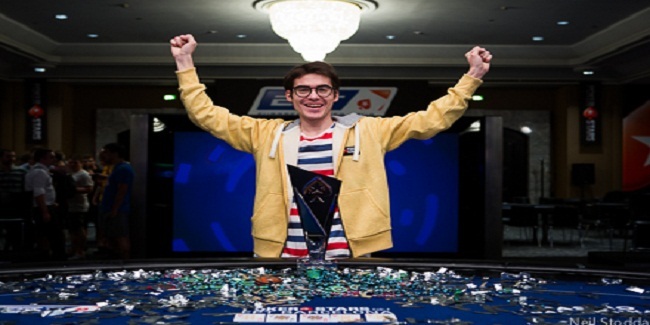 The 21 year old pro from Poland Malec is the new champion of European poker tour season#13. The buy in of the Main event was €5,000 + €300, which attracted 1,785 players from across the world and generated a massive amount of prize pool i.e. €8,925,000. Melec took home the title of the championship and a cash amount of €1,122,800. Malec was a very happy guy, after making this possible and said that “it feels good, definitely good. The money and the trophy are amazing. It just cost €27 to Malec to enter to the online satellite and now he owns the trophy of the most prestigious European poker tour. German poker pro Uri Reichenstein played great but couldn’t be able to convert it to the championship title and becomes the runner up with total wining share of amount €807,100. The first player to leave the ground was Pavel Plesuv from Moldova, who collected €165,950, being eighth. 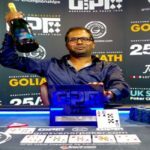 Harcharan Dogra Dogra from Spain hit the rail and becomes the seventh position holder in the game for a total winning share of amount €230,950. 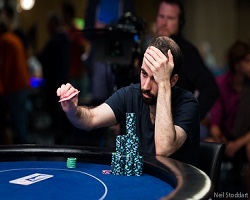 The next player who hit the rail was Andreas Chalkiadakis from Greece who made €330,290. Chalkiadakis had K♥Q♠ against Owen found A♣Q♣. Turkey’s Zorlu Er made €431,550 from to tournament before busted at fifth position, meanwhile Netherlands; Thomas De Rooij made €535,100, being fourth player. The three handed game included Adam Owen of UK, Uri Reichenstein of Germany and Sebastian Malec of Poland. Then Adam Owen was knocked out by Malec. Owen had Q♦J♠, whereas Malec had A♦8♦. It means it was the end of Owen play. 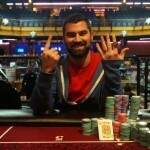 He was at third place for €646,250. The heads up was among Malec and Reichenstein and they played at least 180 big blinds before the winner Sebastian Malec of Poland becomes winner for having €1,122,800, meanwhile Uri Reichenstein for €807,100 as runner up.